"Cornright is like family away from home. Went in to have my side trim fitted. I was greeted with a smile, attended to timely and got my fitting done. Thank you for the great service :-) Cornright does things right. Highly recommended!!!" "Very good work in the past. Hope this experience will be as good "
From its incorporation in 1964, the business has experienced steady and sustainable growth over its life. Its success is attributed to the belief in quality workmanship, quality personnel, innovation, quality parts, modern equipment, efficient turnaround times and complete customer satisfaction. 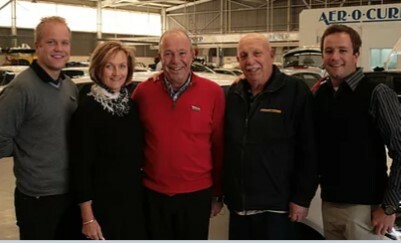 Aldo, founding partner, his son, Peter, his wife, Katrin, and their sons, Mark and Chris, make up the operational management at Cornright, with over a hundred years of experience and service. Cornright holds a BBBEE level 4 certificate and is committed to training its staff with both manufacturer programs, SETA run programs, apprenticeships and BASF water borne paint programs, to ensure its work skills stay abreast of those in first world facilities.